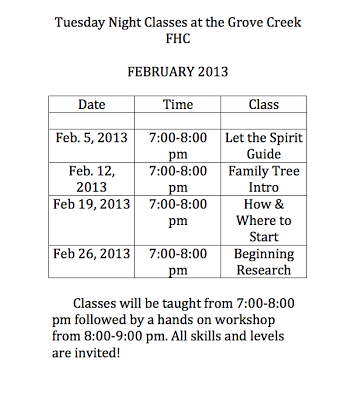 We are happy to announce that the Grove Creek Family History Center will be hosting classes on Tuesday nights. The schedule is outlined below. 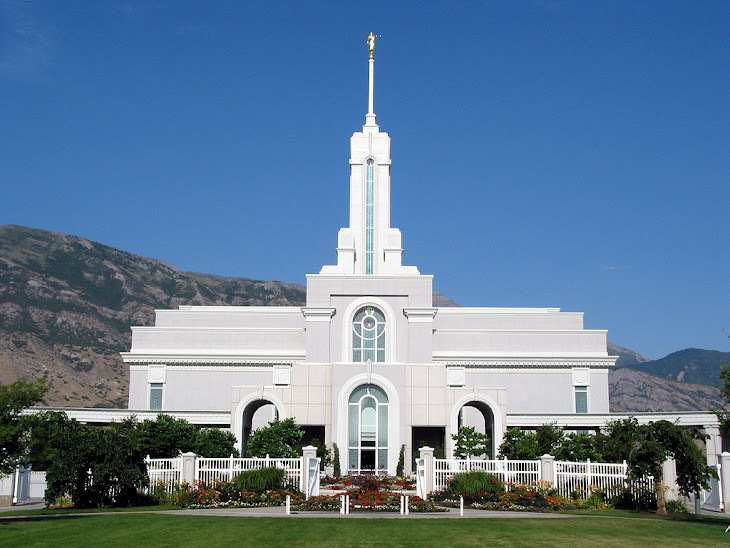 The classes are taught by family history consultants and others from the Grove Creek Stake area. 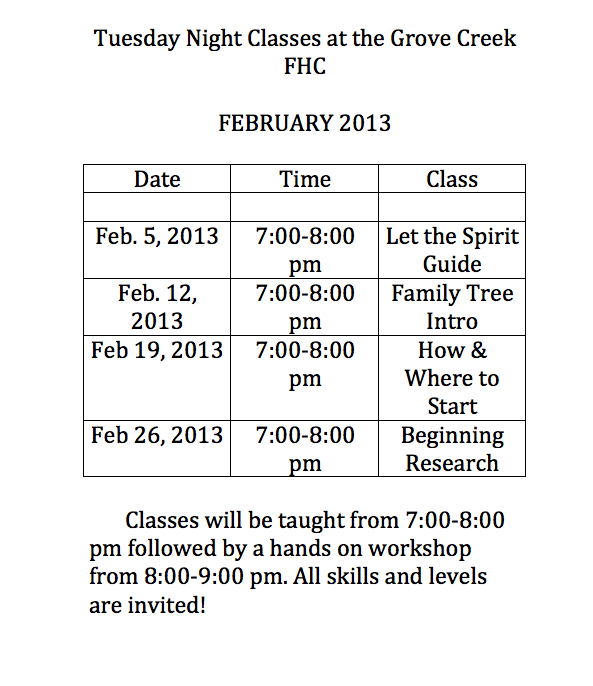 All are invited to come join the classes. Regardless of skill level, there is a place for YOU! The schedule for February is below. 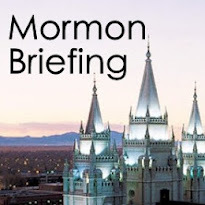 Feel free to call 801-796-8805 with any questions you might have. See you there!